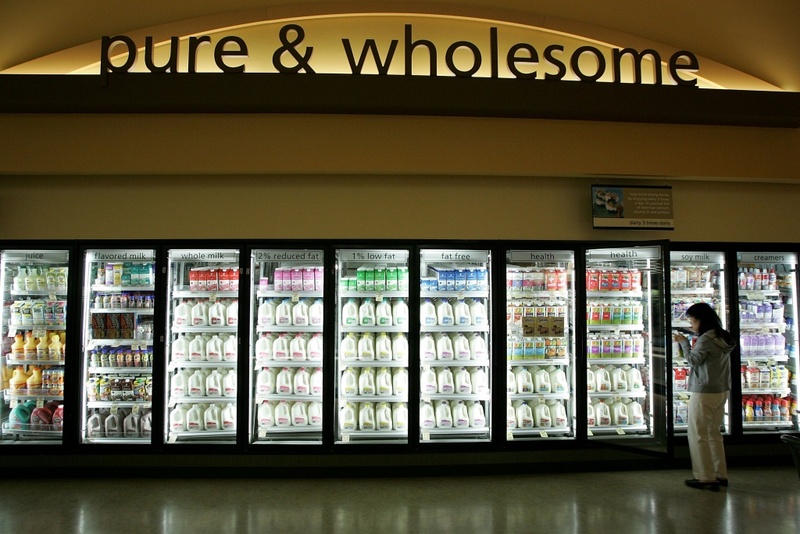 A Safeway customer shops for milk at Safeway's new "Lifestyle" store. Safeway unveiled its newest Lifestyle store that features numerous organic and natural foods. When you go to the market and see foods labeled "healthy" or "natural," do you think of those as objective statements or marketing terms? Four Democrats in Congress are concerned shoppers are misled by those descriptors, and they want the federal government to restrict their usage. To do so, they've introduced the Food Labeling Modernization Act. It would require uniform front-of package nutritional info, and put restrictions on foodmakers' claims. For example, if a product is labeled as “whole grain” or “multigrain,” it must also include information about the actual percentages of grains in the product. Foods would not be permitted to be labeled “healthy” unless half of the grains are whole grains. How else would a product be deemed “healthy” or “natural” and do you think such labels are misleading without more regulation?